Today we welcome Surgical Services Representatives and OR Scheduling Coordinators at Vassar Brothers Medical Center into the 1199SEIU family. They will join their service worker colleagues at the hospital, who have already negotiated some of the best pay and benefits in New York State. This latest group of workers voted 10 to 1 to become members of 1199SEIU, the fastest growing union in the country. By providing compassionate and professional care to people in the Hudson Valley, our new colleagues embody the spirit of 1199SEIU. 1199SEIU is the largest healthcare workers union in the US, with more than 400,000 members in five states along the Eastern seaboard. 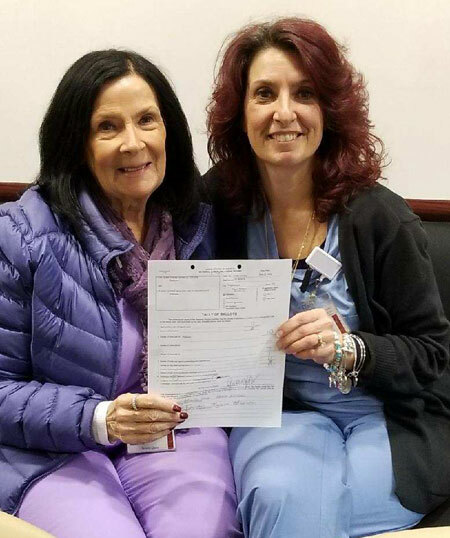 As well as having a larger say in the workplace, the newest 1199 members at Vassar Brothers voted to join our union to enable them to negotiate the no cost healthcare benefits, pension, child care, job security and education benefits that their co-workers enjoy.